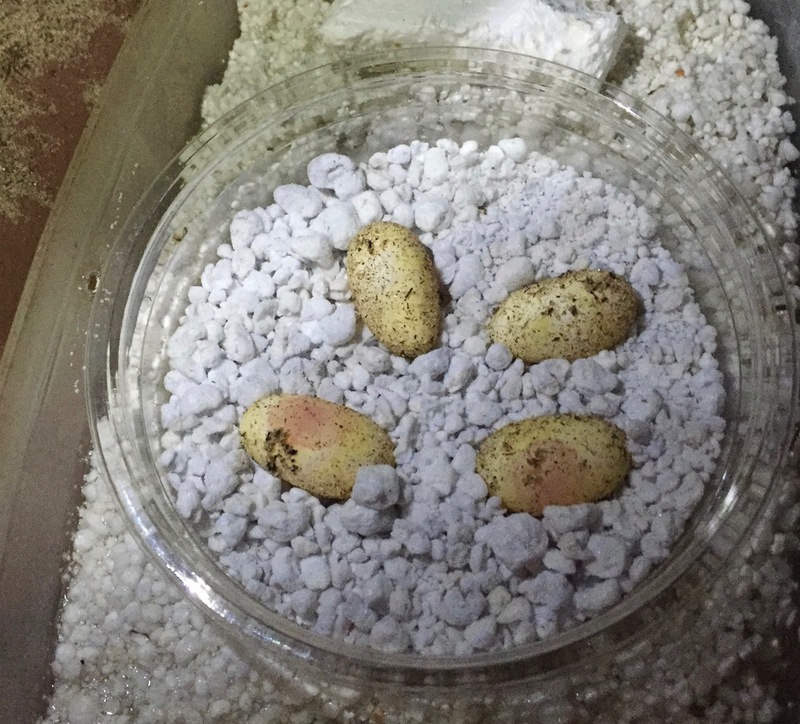 Hatching Uromastyx Thomasi and Baja Collared Lizard Eggs! A nice surprise this weekend, my clutch of U. thomasi hatched! This is the third year in a row hatching this wonderful species. The female laid 10 eggs this time, and 9 of them hatched. This is the same ratio as last season. It will be nice to watch these guys grow and speed up over the coming weeks! Also, a new species for me this season has laid eggs; Crotaphytus vestigium aka Baja Collared Lizard. One of two females I have laid 4 good eggs yesterday. I'm very excited because I really love this species. They are really magnificently patterned, especially the males. 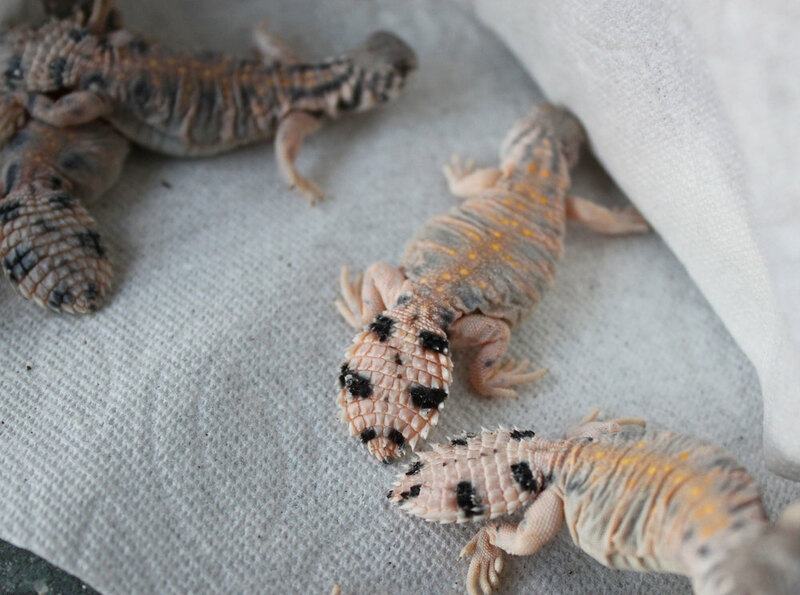 The second female is gravid as well and should be laying sometime in the next 1-2 weeks. Pictured below is the father, the second gravid female, the eggs just uncovered and the eggs in an incubation tray. This season is really going great so far, and I couldn't be happier about it! 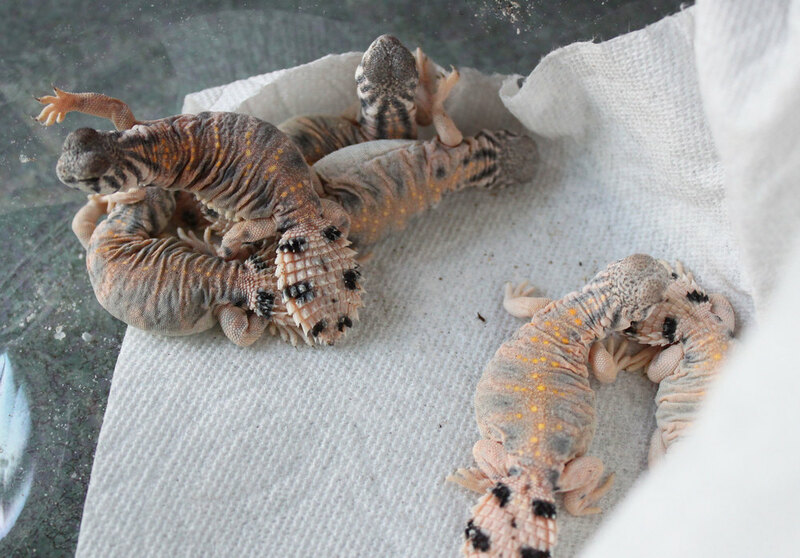 I'm waiting on some U. ornata eggs to hatch any day now, most of my geckos are laying or hatching daily, and I also have the chance for 2 more species of crotaphytus to lay! Woo hoo!